Well maybe 30 min ago I was out for lunch and drove past what looked to me like a *new* generation of Mitsu Eclipse (from the front) but turned out to be an 09 Nissan GT-R. First one I've seen in person! Sorry for the bad Blackberry pics. RE: Saw my first GT-R today! I like it but for the price I would probably get a Z06 or a little more get a ZR1. Not my dream car either, but still a rare sight to see. Keep in mind this is Minnesota, not Miami or Los Angeles. This is one of the nice(r) cars I've seen around town besides a Lambo Gallardo and a Ferrari 575M Maranello, plus a mix of Lotuses. Look alright...stay with my hondas tho..haha! Nice. I'm not to crazy for it. Would rather have an R32 or R34. Went to pick up a B18 (friend's Teggy) and the shop has one. I would rather have a R34. The R34's look way better than the R35's in my opinion. Look what I saw from the office window!!! 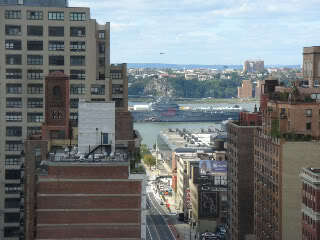 Yes folks .... that would be the USS Intrepid!!! 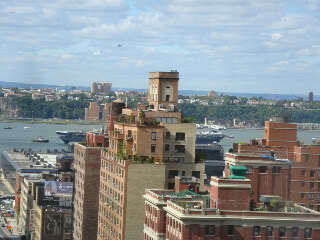 Back in NYC!! 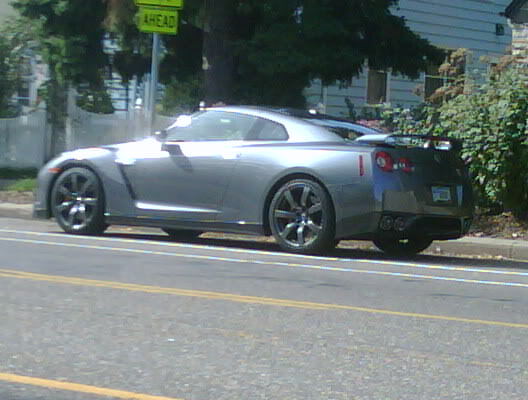 Quick Reply: Saw my first GT-R today!